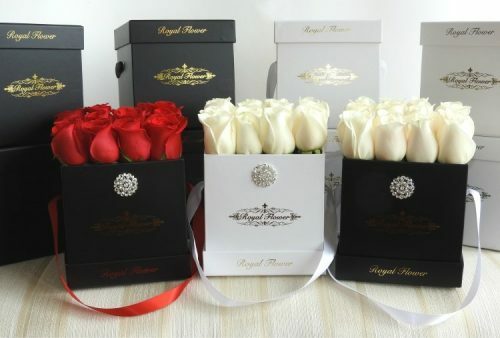 45-50 Hand Picked Royal Roses arranged beautifully in a luxury box, adorned with a very nice diamond* on the elegant red ribbon. 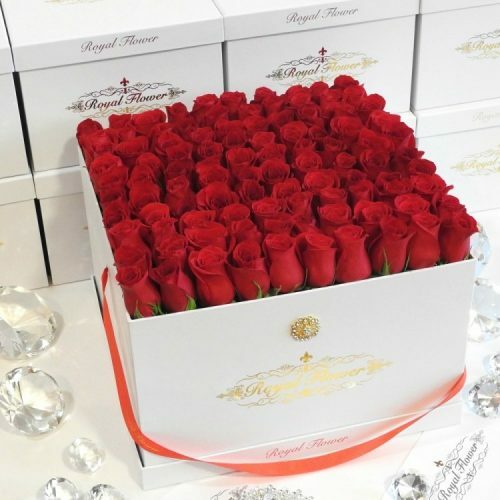 Love’s divine, and roses are too. 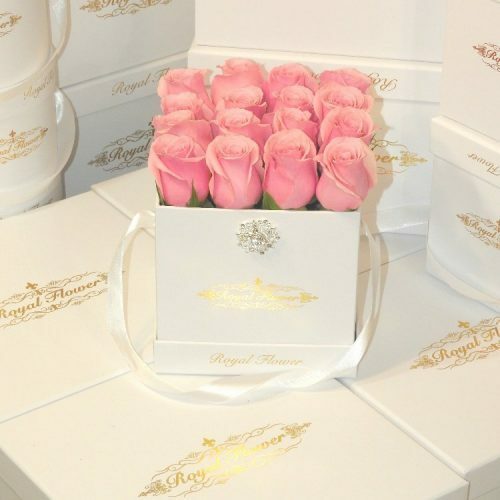 This super luxurious arrangement has 45-50 hand picked and hand crafted roses arranged perfectly in the ROYAL box and the final look and length of the arrangement is almost two feet tall. 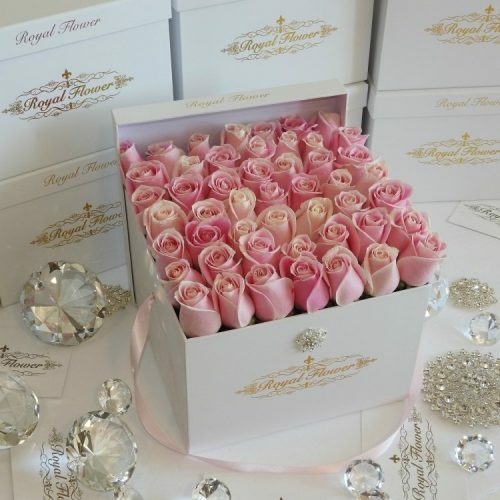 The box is adorned with 1-inch diamond on the ribbon.